An aging woman, Ricki, chased her dreams of becoming a famous rock star by abandoning her family. She gets a last chance to put things right when her ex-husband Pete asks her to visit Chicago and help their estranged, divorced daughter Julie through a difficult time. 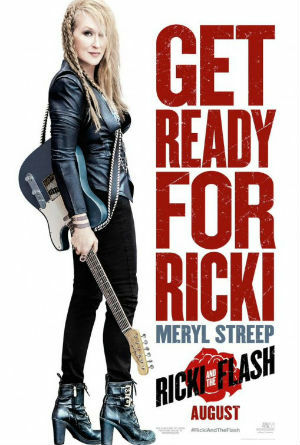 Meryl Streep as Ricki, an aging rock star who abandoned her family to become a famous musician. Rick Springfield as a guitarist and member of Ricki's band. Audra McDonald as Maureen, Pete's wife. Ben Platt as Daniel, the bartender at Ricki and the Flash's regular spot.